There are two types of human constitutions namely, genetic and acquired (discussed in another article). The factors making up the human constitution keep changing and affect every person differently. Therefore body chemistry of every person is unique. Emotional and mental states also differ with every individual and are far more fluid than the physical state. When we talk of health, we generally refer to the physical health giving far too less importance to emotional and mental health. In homeopathy, it is different. The system is very versatile and is probably the only one that advocates treating the person as a whole, which includes the physical, emotional and mental spheres. The system also believes in treating the constitution. Let us see what that means. Every medicine in homeopathy or any other healing system has its own sphere of influence. 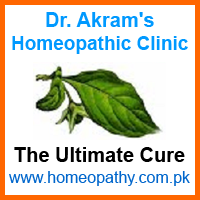 Medicine can cure certain symptoms but cannot have unlimited effect on every disorder. The best-suited remedy will also have its limitations and cannot cure every ailment present in the constitution of a particular human being. Something will always be left behind, which would need to be treated by another remedy. Even after this second or third or fourth remedy, there shall always be something left behind. This goes on and on and on till the death of the physical body. Probably the ailment that was being left behind becomes the cause of death at some stage. It simply means that achieving total health and getting "complete" cure is not possible. It is only a desire never to be met. Good health is only a relative term. I do not believe that one could become symptom-free even with the best remedy. After all, not having a symptom is also a symptom by itself. So what is the "constitutional remedy" then? By constitutional remedy do we mean a remedy that would affect and cure all the physical, emotional and mental symptoms for the rest of the life of a person? This could be a desire but is it practicable? I perceive the constitutional remedy as the remedy that best fits a particular situation at a particular time. Once such remedy has done what it is supposed to do, there shall be yet another constitutional remedy fitting the next condition and set of symptoms, and after that there shall be yet another. Since the acquired constitution does not comprise of symptoms of permanent nature, there cannot be one and the only medicine once for all. By this I do not mean to suggest that one should not bother about the constitution. In fact ignoring that would not be the right approach. I only mean to say that a constitutional remedy should not be over emphasized. Basic purpose of the treatment is to improve the quality of life of the patient, which should be met whatever be the methodology and approach of a healing system, as long as that is safe and effective. If we take Nux-vomica as one constitutional remedy, Lycopodium as another and Sulphur yet another and so on, there would be probably as many constitutions as the remedies. This would be true for acquired constitutions not for genetic constitutions. I am not sure exactly how many genetic constitutions are there (I know of six) but I do not think they can be very many in number. Human constitutions existed even before homeopathy was introduced. How were the constitutions categorized then or were they not categorized at all and people were treated by the name of the disease or by symptoms is not known? Perhaps this question is yet to be settled satisfactorily.